Jilin Province Zuo Dan of Biological Technology Co., Ltd.Uphold the “but the world without suffering,” the great mission, in bringing people to health at the same time, adhere to the “vegetarian light of the earth to change the fate of” corporate purposes, to spread the concept of vegetarian culture-oriented, developed ” 159 vegetarian Meal “products, has become the hearts of the people of vegetarian health preferred brand. Han Dan, a Chinese nutritionist & creator of 159 vegetarian meal plan, who graduated from Jilin University College of life science. He is a chairman of Zuo Dan Li Biotechnology Co., Ltd and specialized in bio-pharmaceutical. After 14-year research, he absorbed the ancient and modern diet health concept based on the “Yellow Emperor“, “Classic of Changes”, “Compendium of Materia Medica” and other books to make sure the ingredients of foods are harmonious with each other. 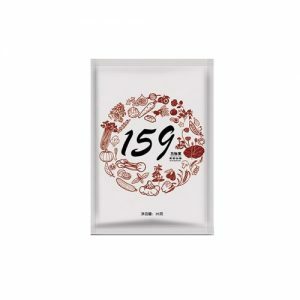 He selected five categories of pure plant nuts, seeds, flowers, Gu beans, algae and other 159 species in accordance with the “40 kinds of essential nutrients and 15 kinds of other important nutrients” which meet international nutrition standards. He successfully developed a simple, fast and efficient diet meal – 159 vegetarian meal. The results show that: 159 energy meal is the international authority of the third party testing agencies – PONY spectrum Nepal test , a comprehensive test, the test results This product does not contain any preservatives, no antioxidants, no sweeteners, pesticide residues are not detected. And in accordance with the “40 kinds of essential nutrients, 15 kinds of other important nutrients” international nutrition standards, select five categories of pure plant nuts, seeds, flowers, Gu beans, algae and other 159 species, delicate fragrance, a package that photo Into the earth between 159 kinds of pure plant energy, pregnant women and children can take.